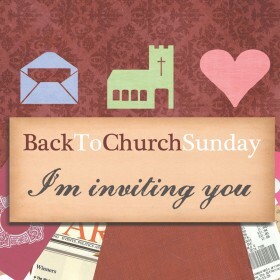 Many churches have taken part in "Back to Church" Sunday in recent years. This is often celebrated on the last Sunday in September, though it can be done at any time. This year, the "Back to Church" initiative has widened its brief to include five invitational services rather than just one, believing that people are more likely to come (and continue coming) if they are invited more than once. Take a look at the Season of Invitation website and get involved in this latest initiative.